RancherMan & I spend a lot of time on our back porch. A LOT! Oftentimes we sit on the porch in the mornings and enjoy our coffee together as we watch the sun rise. And when we’ve been bustin’ it in pastures in the hot summer sun we take a break & cool down with an icy-cold beverage in the shade of the back porch before hitting our chores again. Plus almost every night after supper we once again return to the back porch to end our day. But I’d always hated how our back porch was a long, thin 8-ft-deep cement swath. It just lacked character to me. So RancherMan arranged for a porch addition to be built to add an outdoor living extension. Come see! 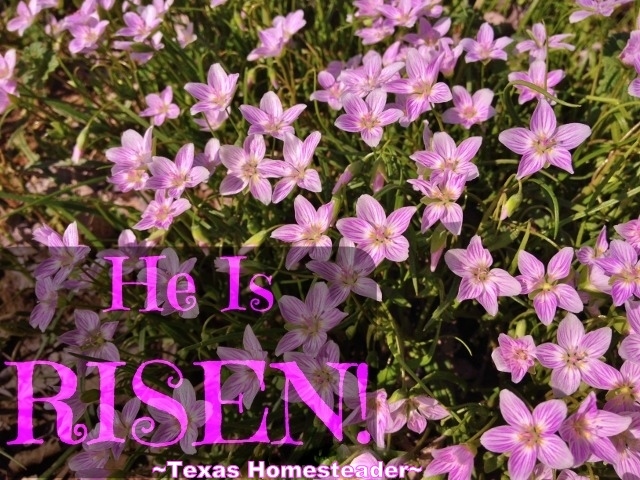 This entry was posted in Blog Posts and tagged Spring, Summer on June 10, 2018 by Texas Homesteader. It seems vegetable-gardening planting is finally going on all over the US now. Aaaaaahhhhh the veggie garden – how I love it. Here in NE Texas (zone 8) I typically plant heirloom seeds in my ‘Indoor Greenhouse’ in February and transplant those heirloom seedlings into my garden after the danger of frost is done. But this year I had a naughty bull jump our garden fence & decimate all of the tender seedlings. I had to start over. I did replant many of my heirloom seeds but I ended up buying a jalapeno plant. It was so small that the winds were pretty rough on it. So I needed to find a way to protect it from the wind. (and free-range chickens) Use Whatcha Got, y’all! 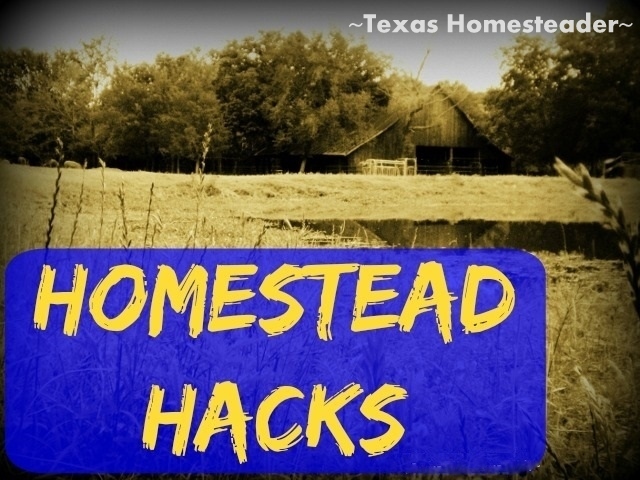 This entry was posted in Blog Posts and tagged Frugality, Gardening, Homestead Hacks, Spring on May 31, 2018 by Texas Homesteader. Y’all remember last month the bull hopped the garden fence & tromped around the wet soil decimating my newly-planted garden? Well I smoothed down the soil best I could and basically had to start over. Because of this damage my garden was now waaaaaay behind schedule! But I’m hopeful I’ll be still be able to harvest lots from my garden this year. Come see the damage recovery report for May. 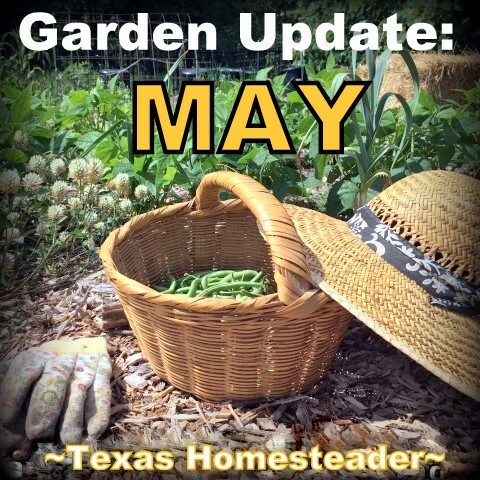 This entry was posted in Blog Posts and tagged Gardening, Spring on May 24, 2018 by Texas Homesteader. Frame-Swap Split for Beehives Doubles Your Hive Numbers! Around the end of March RancherMan & I start thinking about splitting our beehives. Splitting a hive accomplishes 2 things – it expands the number of hives in your apiary. (yea!) But it also gives the bees a little elbow room by putting empty frames in each hive allowing for expansion. You see, if the bees get to thinking things are too cramped, they’ll swarm looking for more space. And that’s something no beekeeper wants since there’s been lots of time & effort into managing their apiary. We did our splits by swapping empty frames for full ones. it was easy! 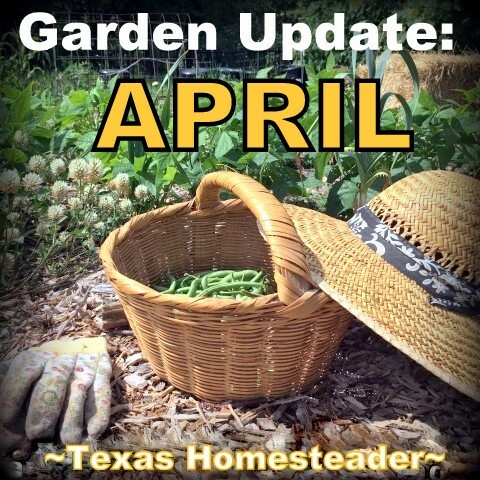 This entry was posted in Blog Posts and tagged Beekeeping, Spring on April 5, 2018 by Texas Homesteader. It’s true I have to grow a garden every year. I mean *HAVE* to! It’s something that’s in my blood and not having a veggie garden is just not an option for me. But recently I got to thinking, there are several reasons I love to garden – it’s not just a hobby. It’s good for me in so many ways. I mean, flower gardens are beautiful and manicured lawns are lovely too. But I’d rather put my outdoor effort into something that will benefit me in 4 important life-changing ways. And here’s the good news – it can be life-changing for you too. Come see! 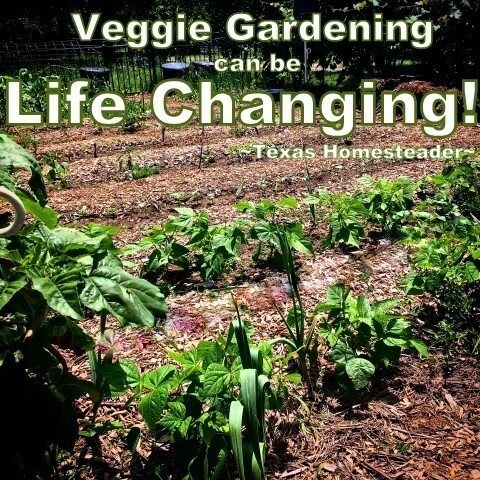 This entry was posted in Blog Posts and tagged Frugality, Gardening, Spring on February 23, 2018 by Texas Homesteader. Here in Texas it’s typically very hot and dry during our summertime months. So I’m careful to mulch our garden heavily. Mulching helps the plants in many ways. It not only conserves that precious moisture, but it also moderates soil temps. I like to mulch with natural materials whenever possible. 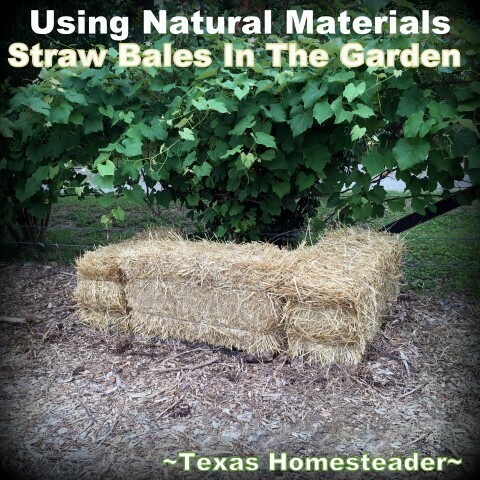 A typical gardening year will see me mulching with grass clippings, leaves or spent hay. But I have a section of my garden that holds my Concord Grapevine. I’ve trained it to grow along the fence. It’s LOADED with grapes! But I’ve also vowed to keep the Bermuda grass from creeping into my garden. So all the walkways in the garden plus a wide perimeter swath is mulched with free wood chips. But the grapevine is right at the fenceline. So to keep bermuda from creeping in around the grapevine I surrounded it with 3 bales of wheat straw. The purpose was just to deny sneaky Bermuda the sunlight as it attempts to grow beneath the bales to get into my garden. Permission: DENIED! But those straw bales are several years old now. They’re just spent and starting to deteriorate. I need to replace them. 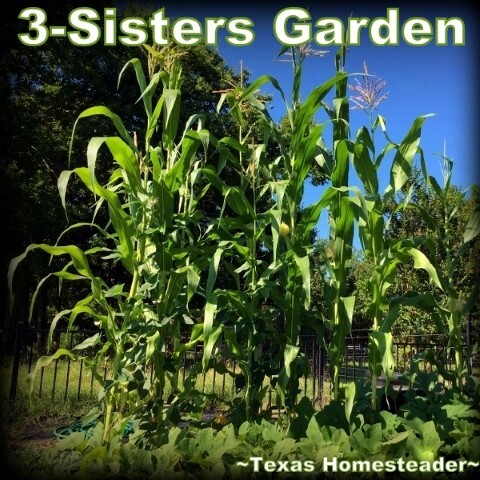 This entry was posted in Blog Posts and tagged Drought, Environment, Frugality, Gardening, Spring, Summer on June 9, 2017 by Texas Homesteader. RancherMan & I are still New-BEES! Our apiary started out with two established single-deep beehives back in May of last year. 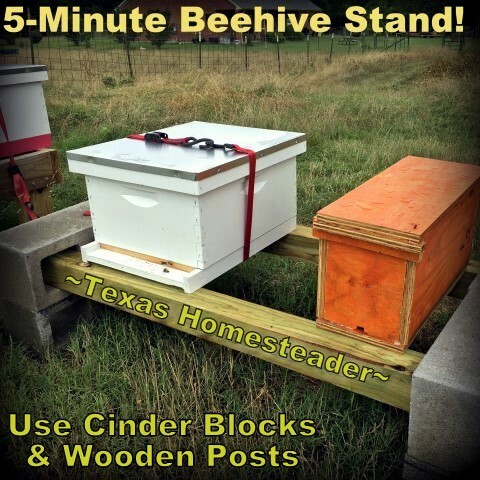 That first beehive stand was built using repurposed 2″x6″ boards that were 6-ft long from raised beds that we tore out. We added a deep box to each hive last year & saw those bees safely through the winter. But these swarms are being caught & brought to our fledgling apiary faster than we can build stands. RancherMan decided to change direction. He wanted to build the next stands using concrete cinder blocks and 4″x4″ 5-ft long wood posts. 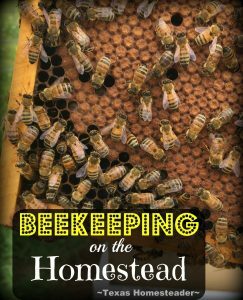 This entry was posted in Blog Posts and tagged Beekeeping, Make-It-Yourself, Small Town Living, Spring on June 7, 2017 by Texas Homesteader.